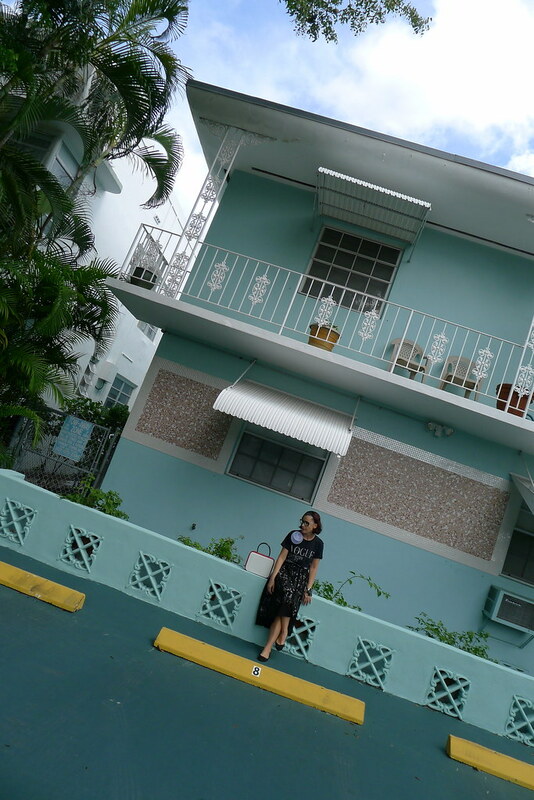 Here's my beautiful Art Deco neighborhood... this green mint building is so well preserved that it deserves many photos.... come and visit Meridian Avenue in Miami Beach. See you around my friends and leave a comment... Kisses! 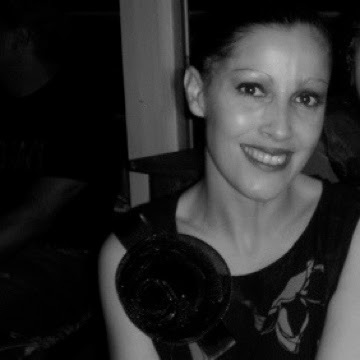 My t-shirt looks fabulous with one of my signature Flower Brooches... HERE if you want it! 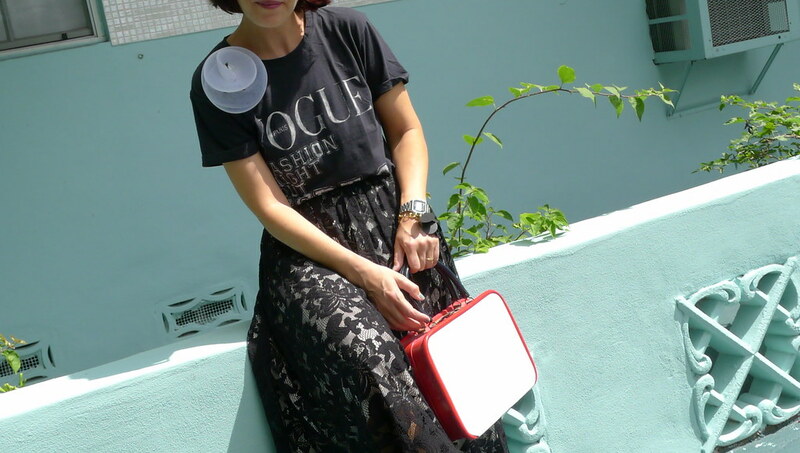 T- Shirt - Vogue Paris "Fashion Night out"
Love the skirt... you look pretty!